Today I decided to stay at Amandine’s parents’ house and rest rather than go on an overnight trip into Lyon proper, especially with a 6am start. It’s been a lovely lazy day and I’m feeling a lot better not having to go out into the cold. 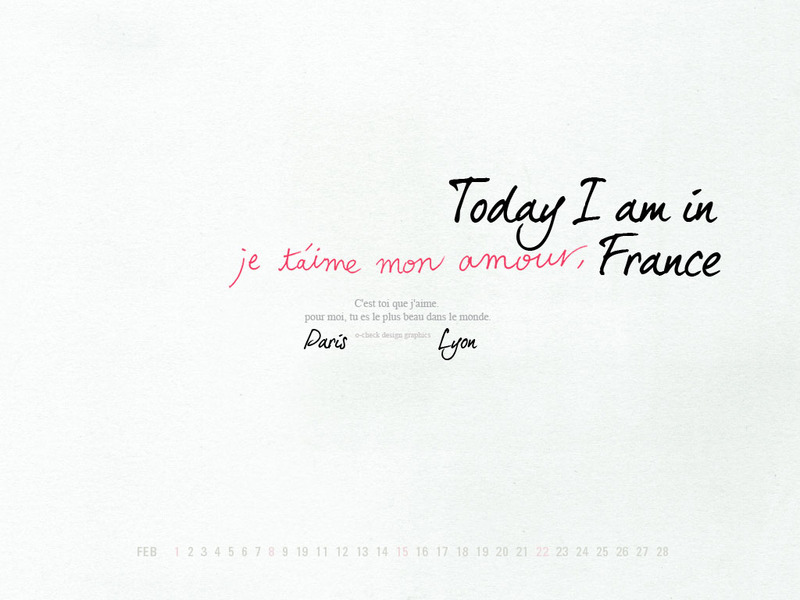 It was really nice to sleep in as well after being so busy in Paris. The one above reminded me of my grandparents’s old house on the Central Coast of NSW – I think it’s because they always had seashells in the bathroom. Anyway, we saw the Winged Victory (she was magnificent, really quite awe-inspiring), the Venus de Milo (which, incidentally should be the Aphrodite de Milo as Venus is Roman not Greek), and, of course, the Mona Lisa. Even though it was winter there was a crowd in front of her, and I’d been told how small she is, so wasn’t disappointed. 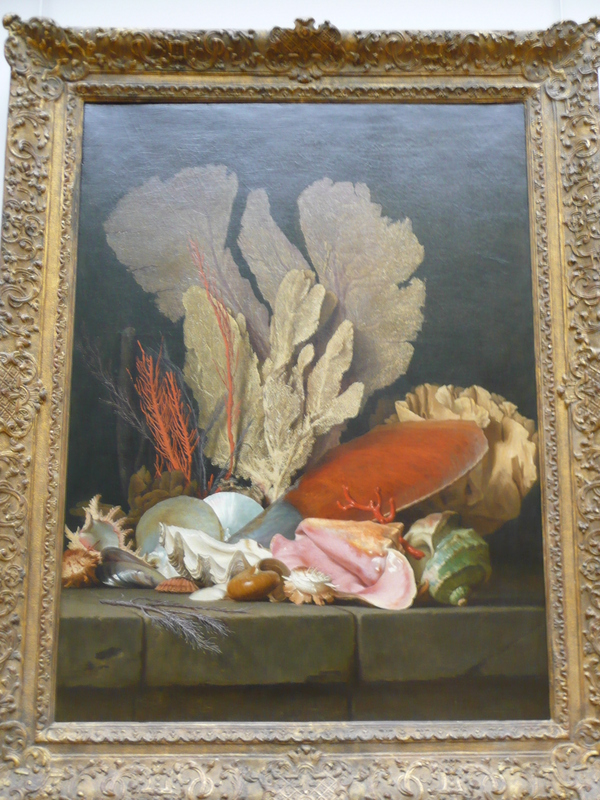 We spend nearly 4 hours exploring, and apart from the Italian and French painting galleries, we saw a lot of the Egyptian gallery and some of the sculpture ‘garden’, which I found I could appreciate more than some of the paintings. I got pretty excited when it started snowing lightly outside too. 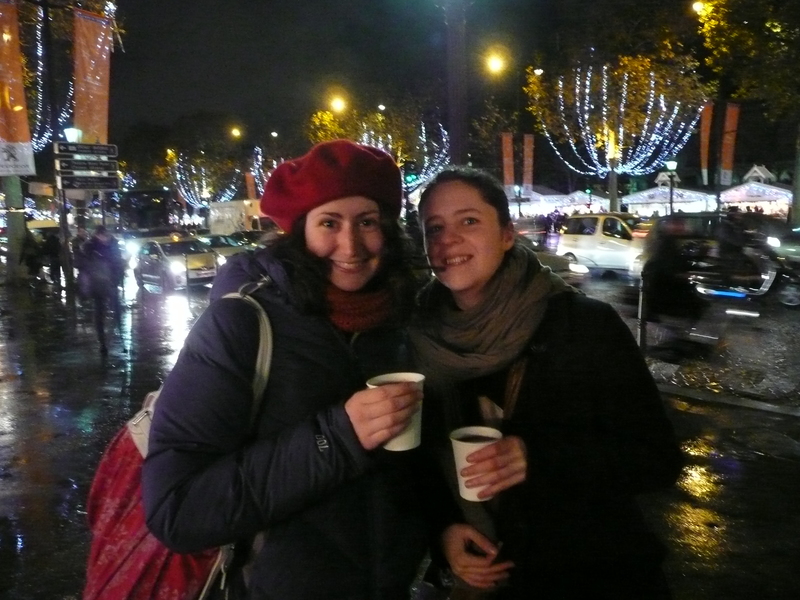 We decided to go to the Champs-Elysees before dinner, as it is lit up in the evenings in the lead up to Christmas. We tried to find the Metro as it was still snowing a bit (I was excited, but we only had one u,brella and it was cold), but in our search, we actually ended up walking the whole way anyway! 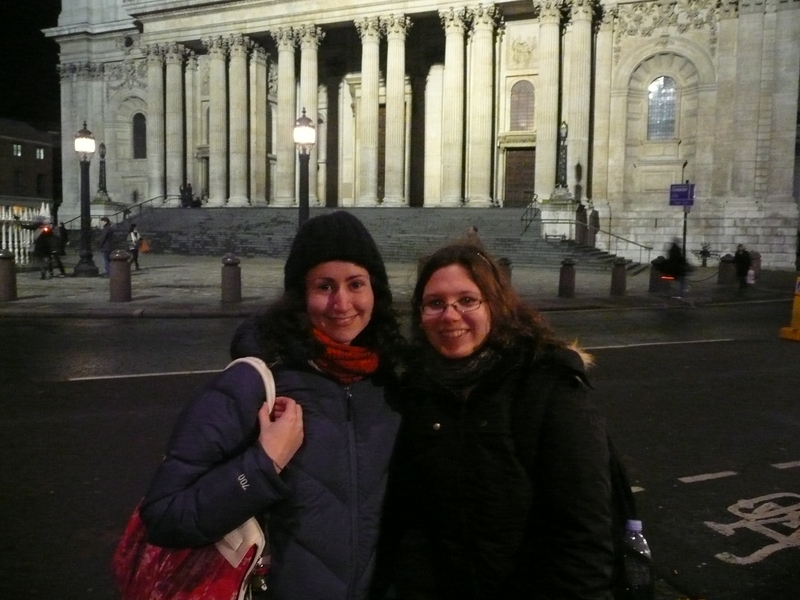 So we browsed the Christmas stalls, and had a cup of hot mulled wine to warm up (it was delicious!). We walked all the way up to the Arc de Triomphe, browsing in some shops along the way, and I found Ladurée! 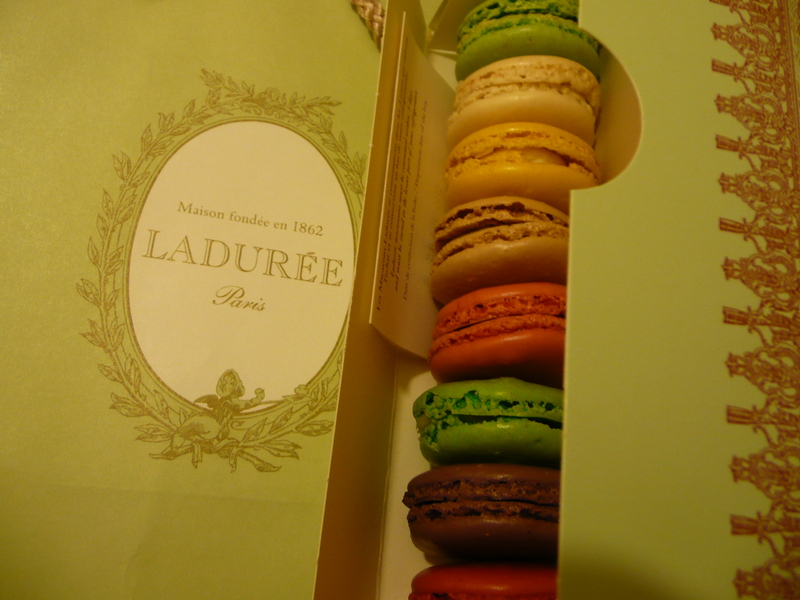 One of my missions in Paris was achieved – I got 8 amazing macaroons! We ended up going back to Arts et Métiers for dinner, and I tried escargot for the first time! I actually really liked it, and the French ravioli I had for a main was to die for! The food here really is amazing! On Saturday morning, we grabbed breakfast on the run and walked to the Bastille to see the art markets that Thea recommended. I like to buy a piece of art from each country that I visit, so this was a good chance to find something from France. I ended up getting two prints (the artist had already sold the originals of the ones I liked) of Parisienne balconies, which is what I loved most about the city. The lady was a bit nutty, but that was kinda cool and added to the experience. From there, we wandered down to where Victor Hugo lived, in an apartment within a giant square of buildings. We didn’t actually know which one he lived in, but it was so cool to see buildings like that for the first time. We had lunch in a Japanese restaurant after trying to find a street Amandine had eaten on before she went to Mali (we couldn’t find it), and I had a throwback to my childhood by drinking Orangina. The rest of the day was spent at the Musée D’Orsay (another excellent Thea recommendation), where I was completely blown away to see the originals of Degas’s ballerinas. Unlike the Louvre, photos aren’t allowed, but I really enjoyed seeing a lot of the impressionist works. The only disappointment was that the majority of the Monet collection was touring at the National Gallery, which we didn’t have time to get to, but it was a great afternoon wandering between works by Gaugin, Van Gough, Renoir and Degas, to name a few. We were both exhausted by this point, so went back and had dinner at a lovely little restaurant (the decor was really nice), and this time I had veal liver with an apple sauce, to be adventurous. 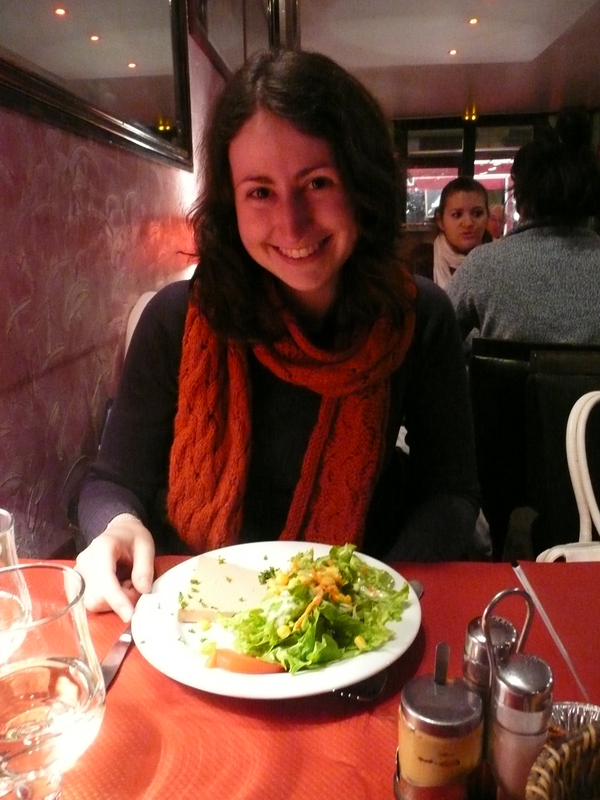 We ate very well in Paris, I think. I ended up buying another coat too, while we were looking for bags for Amandine. This one is orange tartan, and it’s really warm! 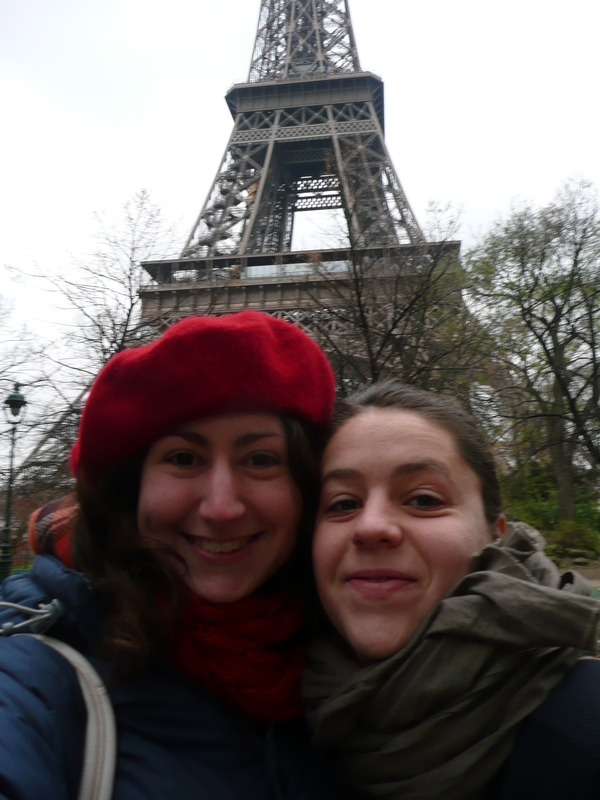 Yesterday was our last day, with the rushed visit to the Eiffel Tower (we didn’t have time to go to the top, only to the middle level). The view was wonderful, and we were lucky that it didn’t rain. We grabbed a waffle to go (it was good, but not as nice as the one in London), and dashed back to the apartment to pack and give Amandine’s friend his keys back. We hurried to Gare de Lyon (let’s not talk about the number of stairs involved in this process and my 20kg suitcase, beyond saying that my arms are now guns), validated my Eurail pass, and got on the train to Lyon. Of course, after frantically rushing, the train was delayed by 20mins, so we just kinda sat there, hanging out for a while until the accident on the line was sorted out. The train trip was pretty quick (the train was a TGV), and I slept for most of it, occassionally waking up to see different degrees of snow-covered landscape. And I think that brings things up to date. Amandine’s parents are so lovely – they don’t speak English, but talk to me anyway and her Dad even brought in macaroons for after lunch today because he knew I liked them! I’m looking forward to exploring Lyon a bit tomorrow when I go into town to meet Amandine. For now, au revoir! Well, I made it to Lyon after a couple of hectic days in Paris! The city is utterly amazing – there is beautiful architecture everywhere and, best of all, unlimited bread refills in restaurants! What more could a girl ask for? I’ll write as much as I can now but I am going to help Amandine and her Mum cook dinner so I might have to go before I finish. 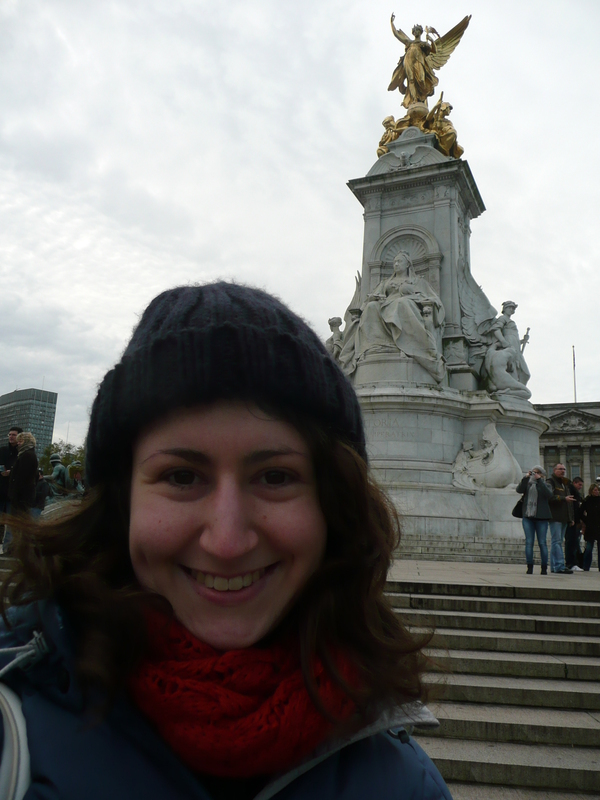 Before I write about France, though, I have to be fair to England and say that I saw snow for the first time there! It was in the taxi up to Leeds Bradford Airport, and then again more heavily while I was at the airport. As an aside, LBA still makes passengers walk on the tarmac. Anyway, my flight was really smooth considering the heavy clouds over the Channel (which had me wondering why it is called the English Channel, not the French Channel? 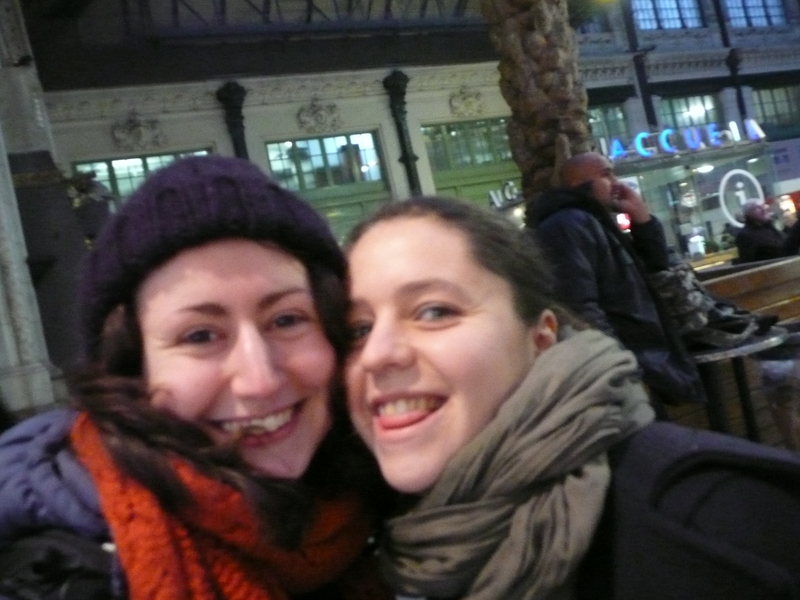 ), and I found my way to the buses at Charles de Gaulle to get to Gare de Lyon, where Amandine met me. I had to wait nearly an hour for the bus, but I got there in time and it was just awesome to see her again! 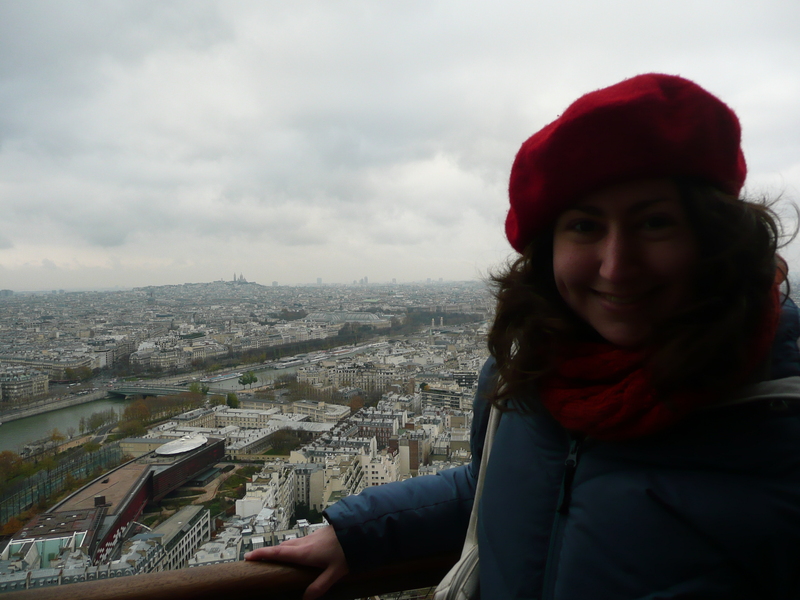 We caught the Metro to Arts et Métiers, and met her friend Hugo, who very kindly lent us his apartment for the weekend. Thankfully it was close to the station, but the apartment was on the 6th storey of a building with no lift! That wasn’t fun with my suitcase, especially since we went into the wrong building the first time, and didn’t realise until we were half way up! Once we got there and settled in, we went for a walk in the surrounding area, past the Georges Pompediou (spelt wrong) Centre, aka crazy modern art building. We didn’t end up going in, but it was an awesome building. We had dinner at a place nearby, and I had my first taste of foie gras! It was delicious, like paté but better, and the meal was scrumptious! 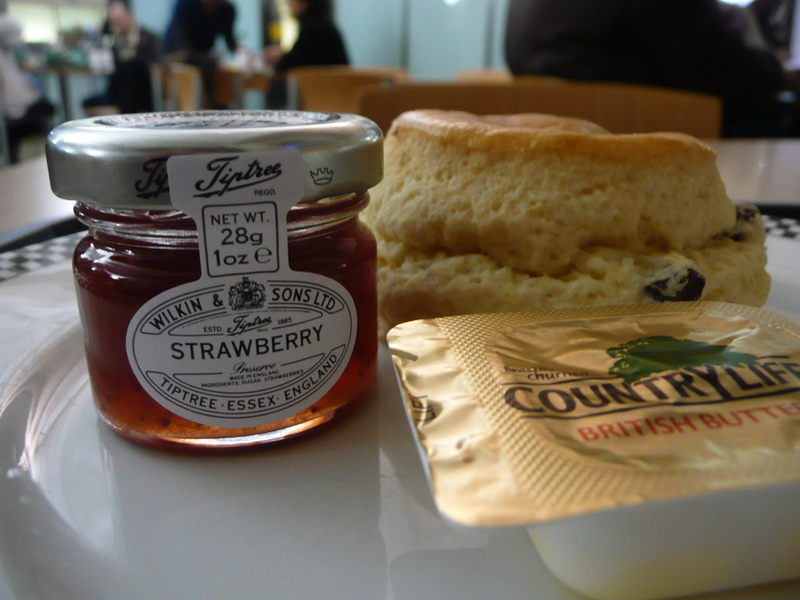 I’m still sick, but it has become a bit better since I got to France, so I could taste more of the food than before! One of the things that really struck me about Paris is the beauty of the residential buildings. I love the balcony railings and flower boxes hanging on them! They made up my first impression of the city from the bus. Friday was a busy day – we visited Notre Dame and the Louvre, then went to the Champs-Elysees at night and soaked up the holiday atmosphere at the Christmas stalls. 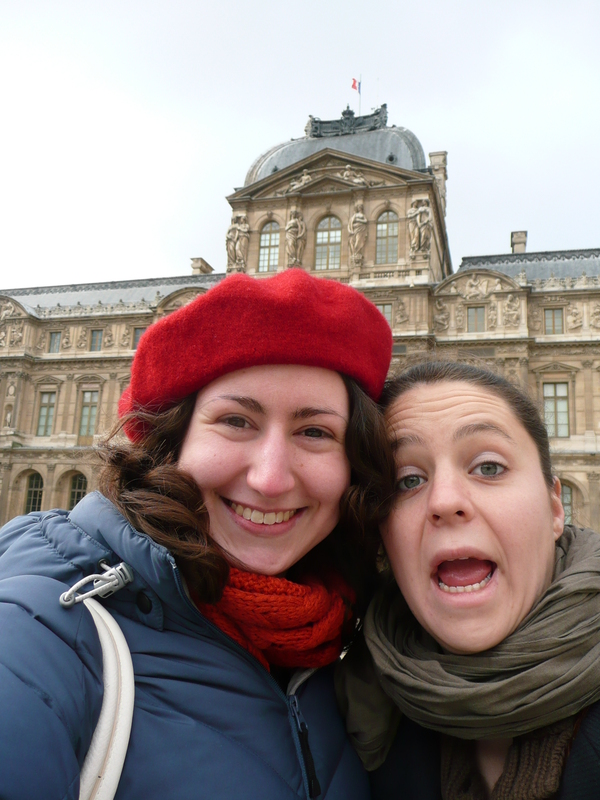 I was completely blown away by the Louvre – it’s HUGE! I mean, I knew it was big, but you don’t really appreciate how big until you’re standing there! Ok, I think we’re going to start cooking, so I’ll try to write more later. 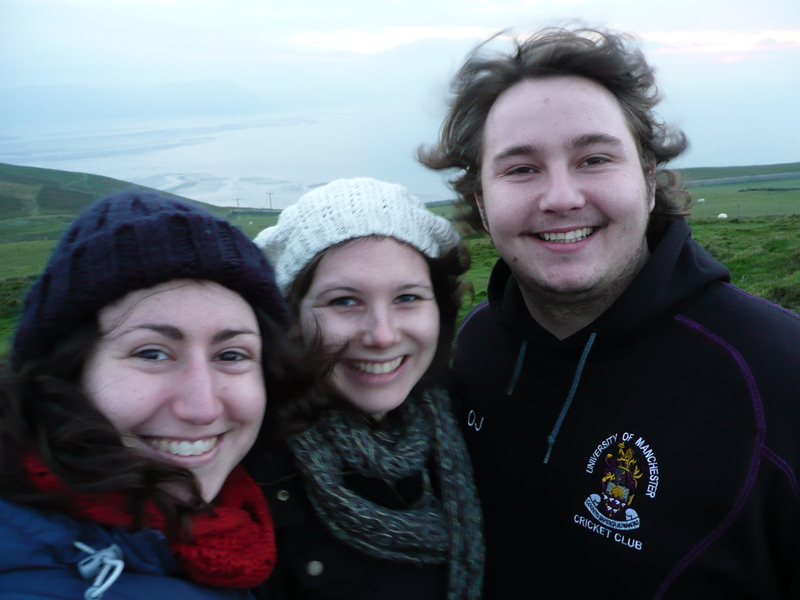 Well, I’m back from my whirlwind trip to Wales! On Friday morning I set off to Manchester and Jasmin met me at the station for the beginning of our shopping odyssey. 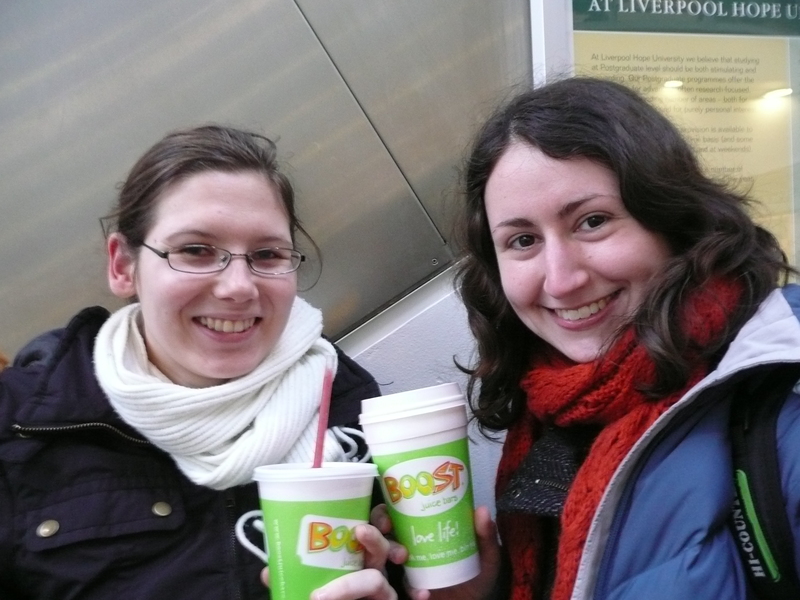 To kick things off, we had Boost at the station!!! Five hours later, I had 2 pairs of pyjamas, a new yellow coat, an aqua beret, a new scarf and a new wallet! We had a lot of fun exploring the shops, and grabbed dinner before meeting Owen. We hopped on the first train to Crewe, then on another to Llandudno. We passed the time playing Monopoly Deal (it’s a lot of fun!). Owen’s Dad picked us up from the station and took us back to his house in Deganwy, where we dumped our stuff before going out again to see Harry Potter 7. The movie was quite good, although a lot of the scenes were different to how I imagined them in the novel. They sell sweet popcorn at the cinemas, so I tried a bit of that and had Baskin Robbins ice cream too! Anyway, we took a quick drive to the near side of the river after the movie (around 1AM) to just get a sense of the quiet and beauty of the landscape, before going back and straight to sleep. 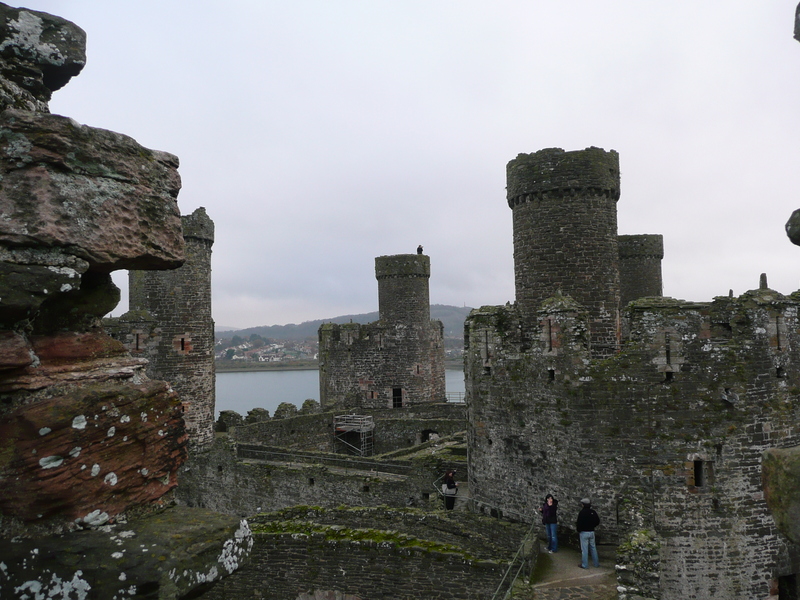 In the morning, Jasmin and I left at around 10, and Sel (Owen’s Dad) dropped us off half way to Conwy Castle. 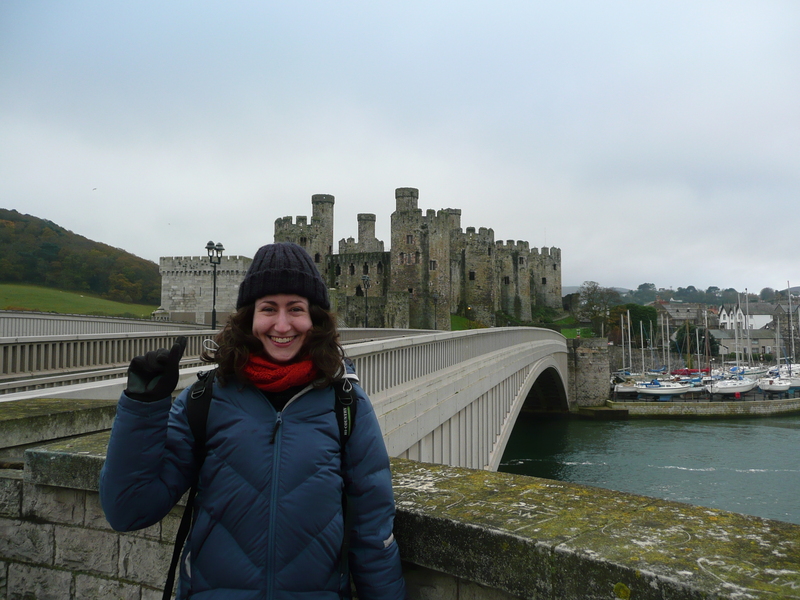 On Friday night Jasmin and Yvonne (Owen’s Mum) laughed at me because I was ridiculously excited to see a real castle! It was even better during the day up close! 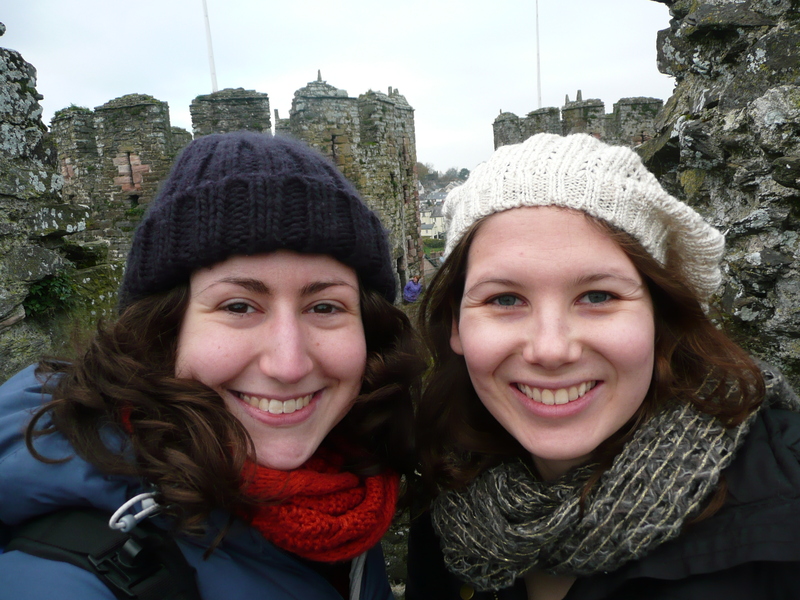 We spent about an hour wandering around the castle, through the great hall and then up four of the six towers. The views were spectacular! 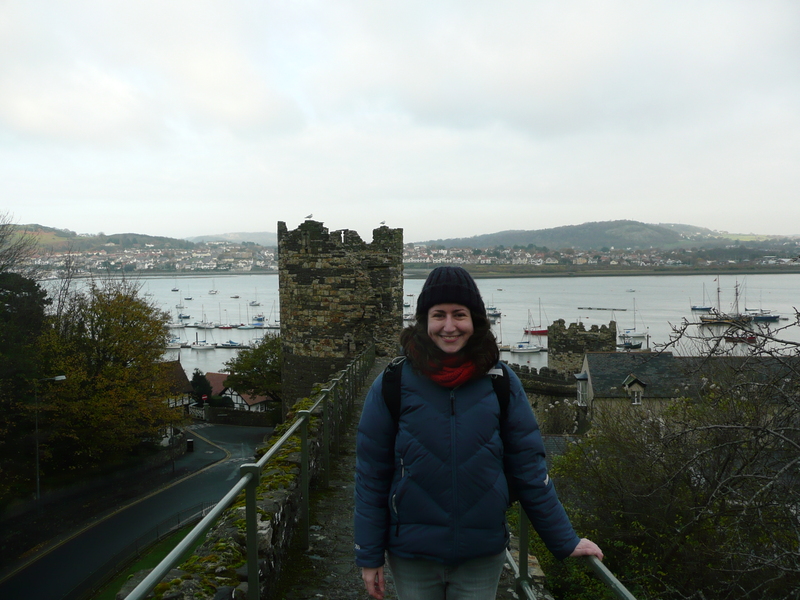 From there, we walked past the smallest house in Great Britain along the riverfront, and then up along the castle walls. 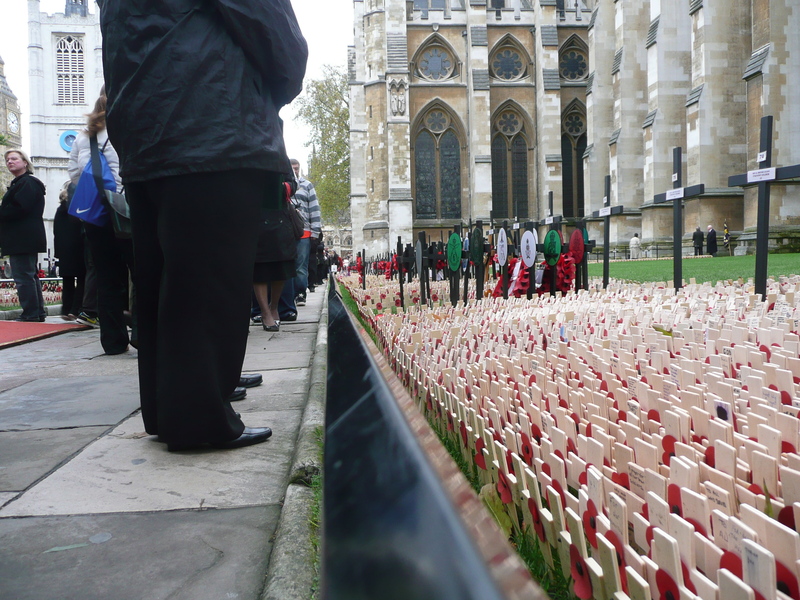 It was amazing – people have their gardens in the little alcoves of the wall. I can’t imagine growing up alongside a castle! From there, Owen picked us up, and we drove for quite a while, picked up sandwiches from Ham Bone, and grabbed cakes from a local bakery (yum!). I wasn’t feeling too well (this cold just won’t go away), but I was fine once we got up the top of the mountain in the fresh air. 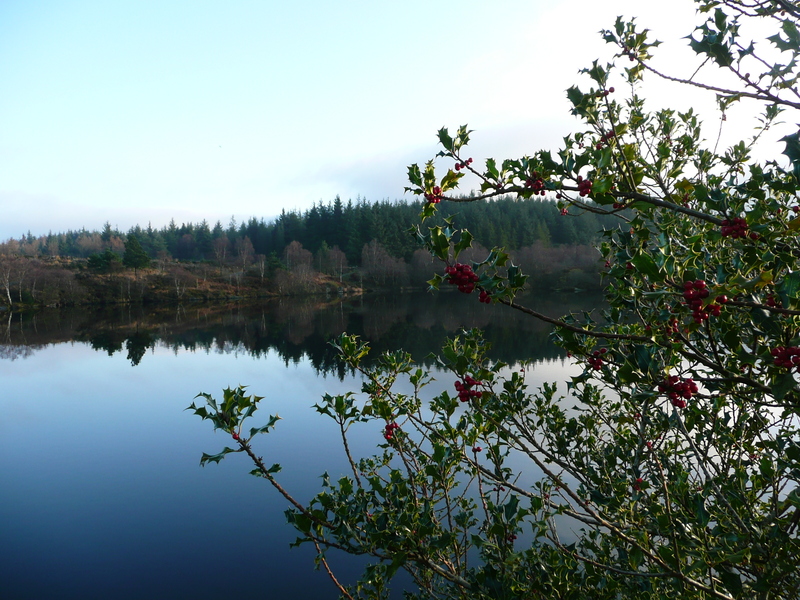 Owen took us on a local’s tour, tramping through the scrub (or whatever the Welsh equivalent is) and the mud down to the most still, perfect lake I’ve ever seen. 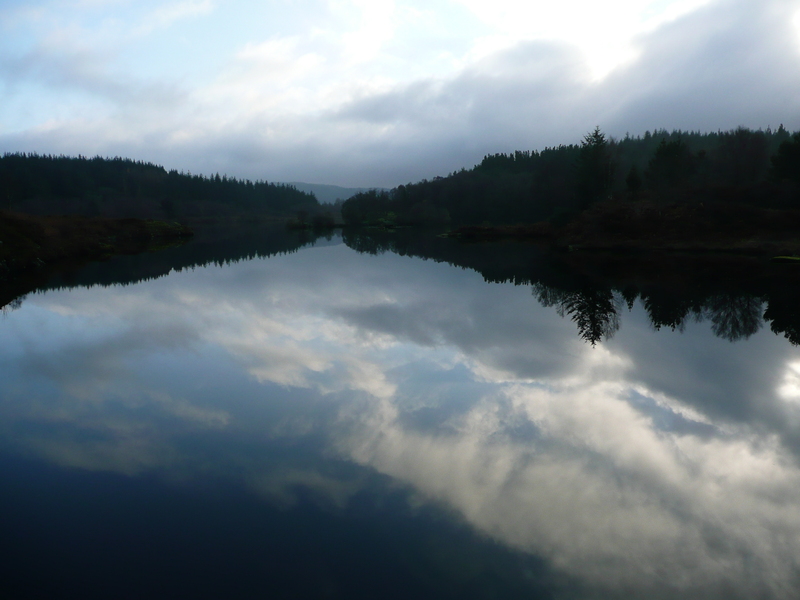 It was actually like a mirror, reflecting the cloudy sky. Despite the mud and prickly bushes, the view and serenity was worth it. I even saw a wild holly bush! 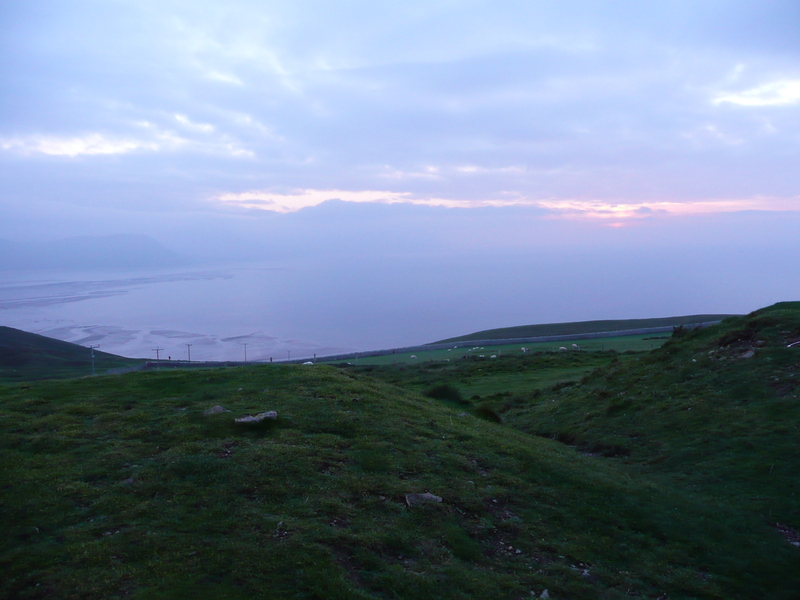 We then went for a drive over to the Orme, which is a large body of land sticking out into the ocean. The day was foggy, so looking off the edge was like looking out over the end of the world. It was very cold, but we saw it as the sun was setting, so it was quite beautiful. To finish off such an amazing day, Yvonne made a delicious lasagne, and we had proper UK chips with it, which were amazing!!! I’m so glad I had the chance to see this little piece of Wales, and now I’ll definitely try to get back there one day to see some more. 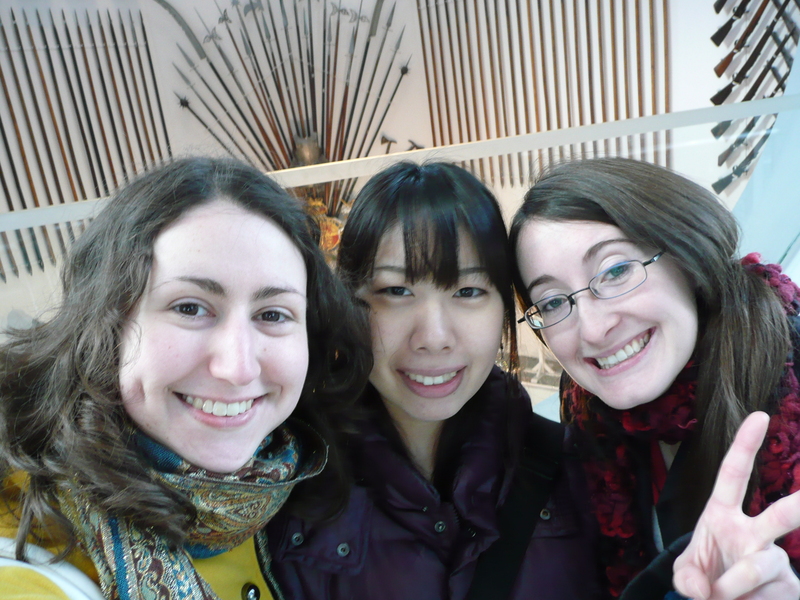 I got back to Leeds last night, and spent today at the Royal Armouries with Christina (Will’s housemate from Ireland) and Junko, her Japanese friends. It was awesome to see such a huge collection of weaponry from the UK and around the world, including the world’s only almost-complete suit of elephant armour.We had a lot of fun wandering around all afternoon. So that’s the news from here! I’m planning to go to the Christmas Market with Jasmin on Tuesday, and tomorrow Luke is taking me to the ruins of an abbey which are apparently quite beautiful. Then off to France on Thursday! Exciting! Well, I’m now writing from Will’s house in Leeds! Yesterday I caught the train from King’s Cross station (and yes, I did find Platform 9 and 3/4) up to Leeds, and spent the day hanging out with Will. We went to the Leeds Japanese Society’s karaoke night, and I caught up with Nanako, one of the girls from Hosei that I knew through the speech contest, who is here on exchange. I have a bit of a cold, so today is a lazy day, hence the time to update the blog! Ok, so going back to London, I managed to fit quite a bit into my last days, including a catch up with Kelly and Janelle, who are on their way home after nearly 6 months in Europe. 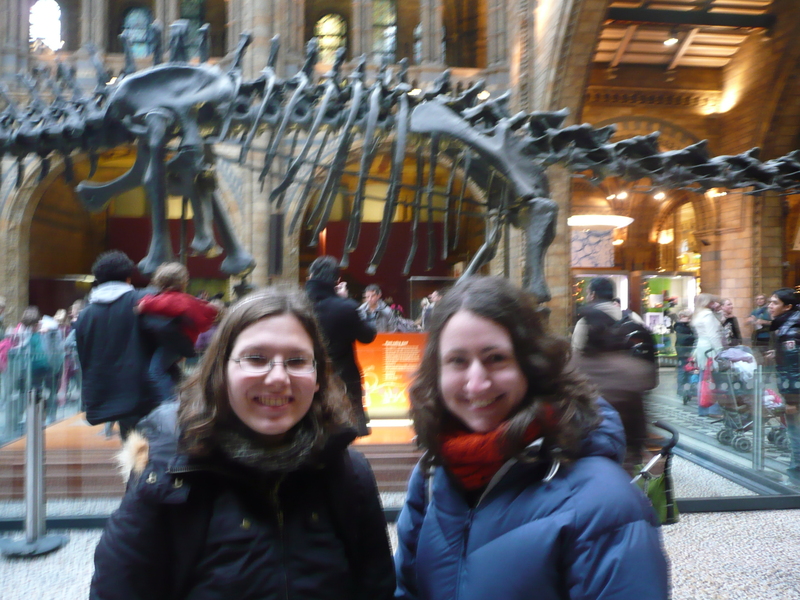 On Sunday, I met up with Jasmin and Owen at South Kensington, and we went to the Natural History Museum. There’s an ice rink set up in front of the Museum, so Jasmin and I bought tickets for the 9pm skate session before going into the Museum. It was incredible! The main entrance hall was so beautiful! We looked at a lot of dinosaurs, and took a lot of photos! 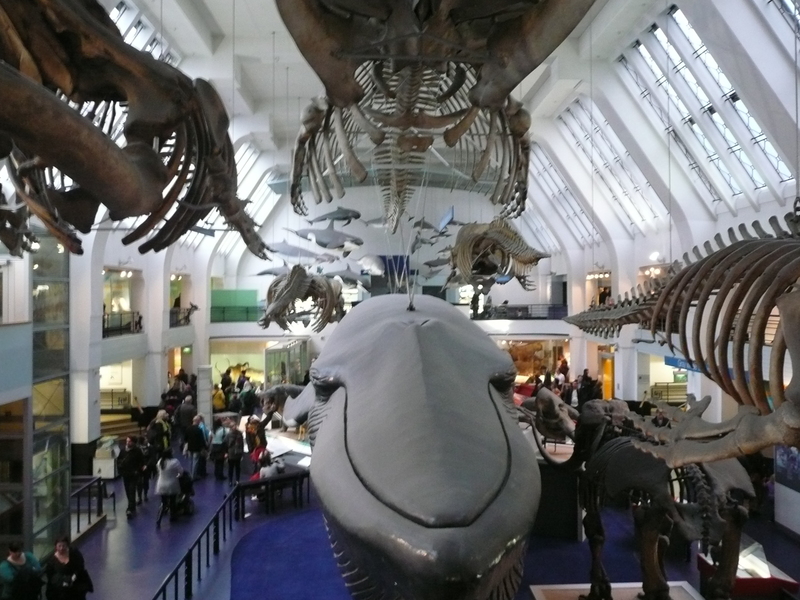 There was a GIANT blue whale, woolly mammoth tusk moulds, and a big section about the human body. 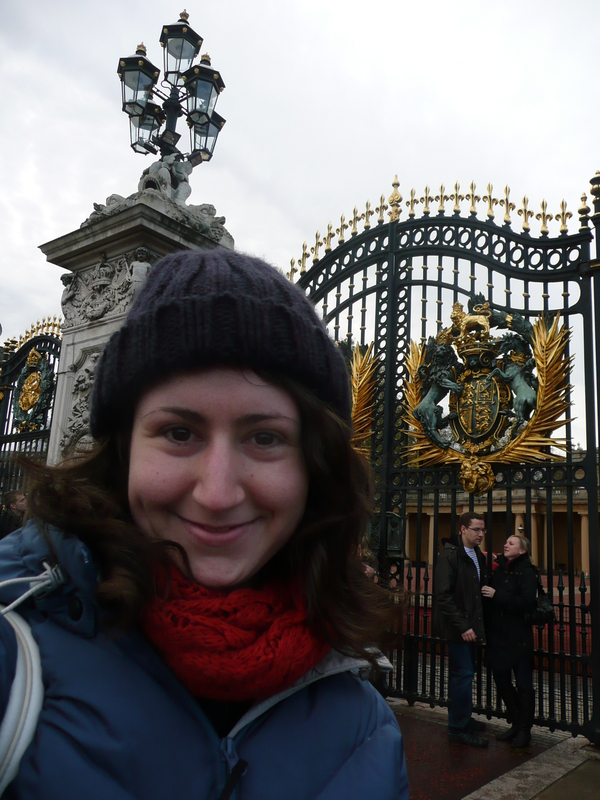 We spent most of the afternoon wandering through, then caught the tube to Victoria to have Nandos for lunch. Nandos here is more like a mid-range restaurant than a take away place like at home, so we had an awesome feast (although we had way too much food!). 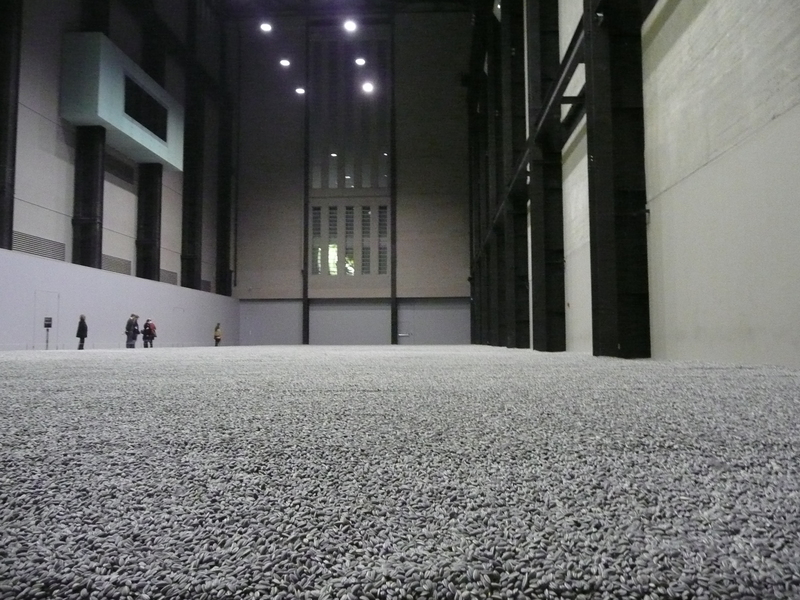 We then went to the Tate Modern, mostly because I wanted to see an installation by Ai Wei Wei, a Chinese artist. I’d seen an exhibition of his in Tokyo, and heard that he’d put 100 million porcelain, hand-made sunflower seeds n the turbine hall of the Tate, so we had a look. It was pretty amazing – so many seeds! We weren’t that impressed by the rest of the Tate (I’m more conservative in my taste), but was hung out for a while, before having hot chocolate just outside St Paul’s Cathedral. We were all tired and a bit run down, so we ended up giggling a lot in the cafe, and once they closed, we headed back to the NHM for our skate session. 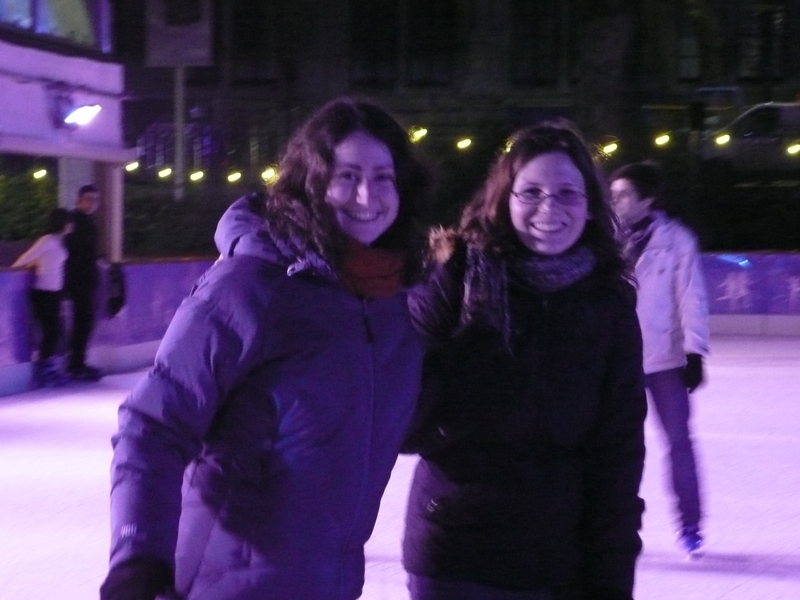 I’d not been ice skating before, so was a bit nervous, but Jasmin was a great teacher, and I gained confidence with Bert the penguin ( a little penguin to lean on that kids use to learn to skate) by my side! In the end I was able to go around the rink 3 times on my own, and I only fell down once! It was actually a lot of fun, and I’d like to try it again at some point before I go home. We hung out at Jasmin and Owen’s hotel a bit before I went back. Oh, and over the course of the day, I was invited to go on a short trip to Wales over the next weekend. So tomorrow I’m heading over to Manchester, before going with Jasmin and Owen to Wales in the evening. We’re also booked in for a late session of Harry Potter 7 tomorrow night! So excited! Anyway, so I tried to catch up with Kelly and Janelle on Monday, but we had phone issues, so i ended up spending the day on my own. 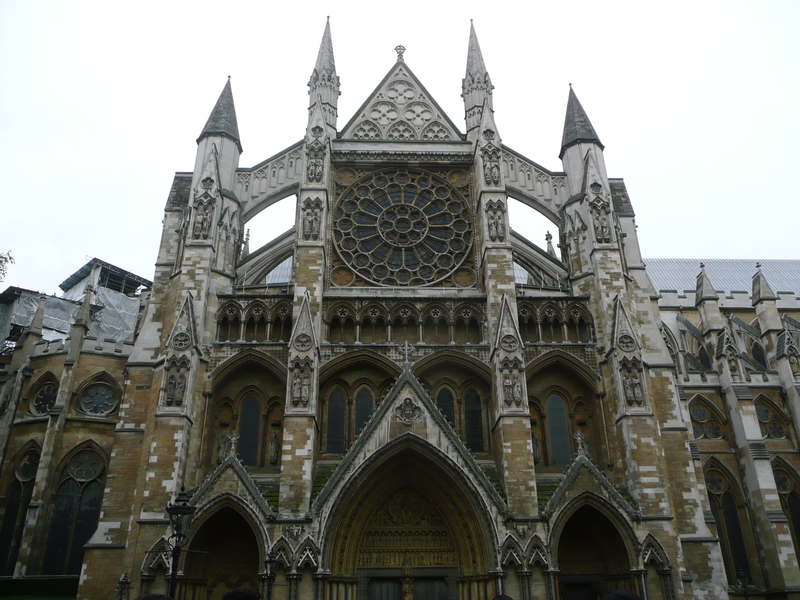 I went to Westminster Abey first, which was unlike anything I’ve ever seen before. Unfortunately you couldn’t take photos inside, but I was amazed by just how many important people in English history are buried or commemorated there. I was especially moved by the Poet’s Corner, which memorialises the great authors, poets and playwrights, including the likes of Charles Dickens, William Shakespeare, Jane Austen, Wilfred Owen, Oscar Wilde, and William Blake. 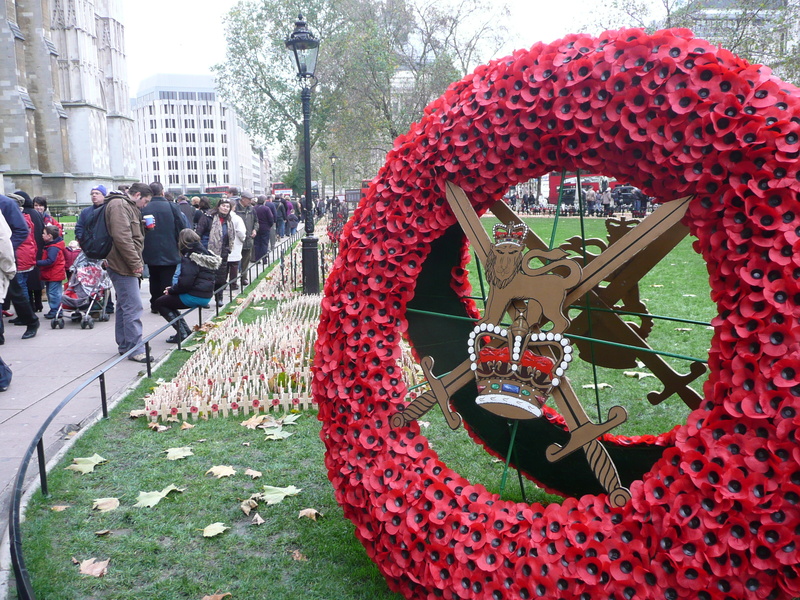 I also found the memorial to the Unknown Soldier to be quite moving – I placed the remembrance poppy that I bought earlier in the week on the black marble in his memory. I then made my way over to Shakespeare’s Globe, which was probably one of the main highlights of my London visit. 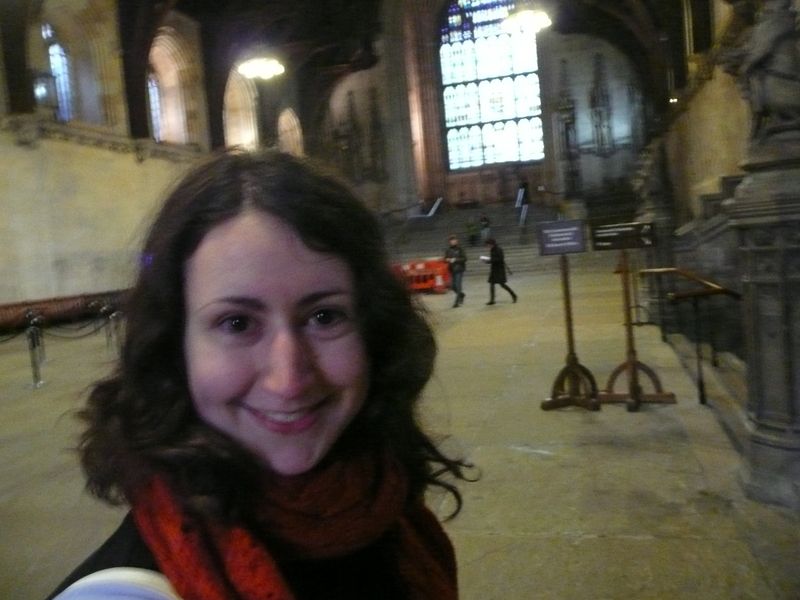 The lady who took the tour was amazing, and it was just a real thrill to be there. 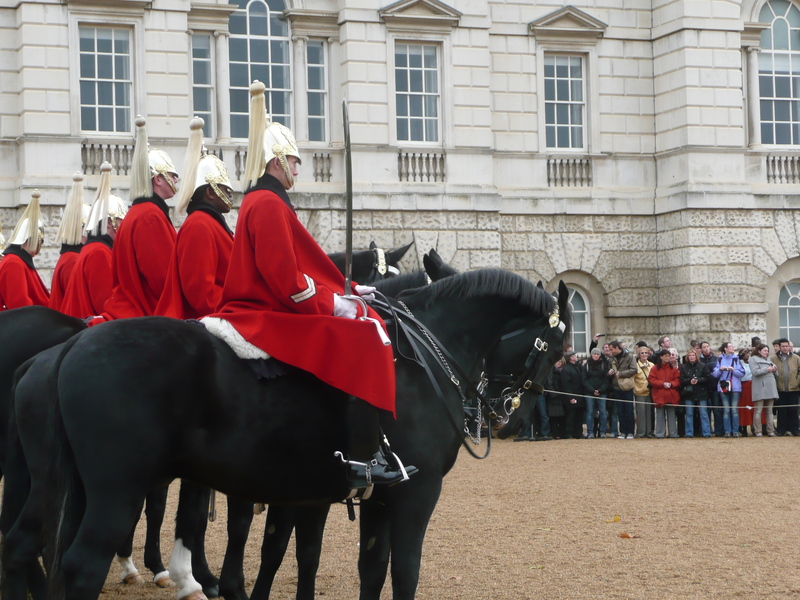 I had planned to go to the Tower of London before heading to Covent Garden for the Royal Ballet, but there wasn’t enough time, so I relaxed at the hotel for a bit before going out again. I saw Sylvia at the Royal Opera House, and it was magnificent! I was a little bit far away to see the costumes well, but the overall impression was of a beautiful, classical performance. I sat next to an older lady from Paris, and we spent the to intervals chatting about ballet and about travelling, which was really nice. It was a great evening! I finally saw Kelly and Janelle on Tuesday! We met at South Kensington station for morning tea (we ended up going to a cafe at the NHM), and caught up on months worth of news. We swapped travel advice (they’re going home via HK and haven’t been there before), and shared three yummy cakes/slices. They had to meet a friend in Hyde Park, so we headed over there, and took some pictures before solving the phone problems. We organised to meet for dinner later on. I then went to King’s Cross to pick up my tickets to Leeds. On the way back, I went to Notting Hill, mostly to wander down Portobello Road and sing the song from Bedknobs and Broomsticks (Portobello Road, Portobello Road, street where the riches of ages are stowed). I took a picture in a doorknob shop, of one that was like the magic bedknob. The market end was quite nice, and I discovered an awesome smoothie shop called “bee me”. I also finally had a cupcake from the Hummingbird Bakery – it was called red velvet, and was amazing! (Photos will come later, my camera is charging now). 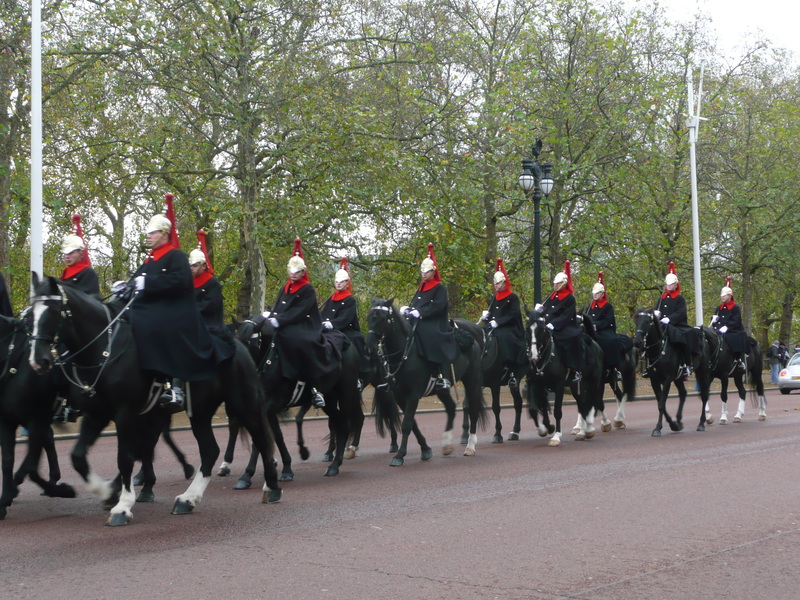 I then met the girls for a hurried Mexican dinner – they were going to see Billy Elliot in Victoria, but I had to race to the Lyceum in Covent Garden to see the Lion King. It was actually AMAZING!!! The sets, the puppets, the costumes, everything! Zazu and Rafiki were the stand out performances, although Timon and Pumba were really funny too! I just loved the whole thing, and am so glad I picked that of all the possible shows to see. 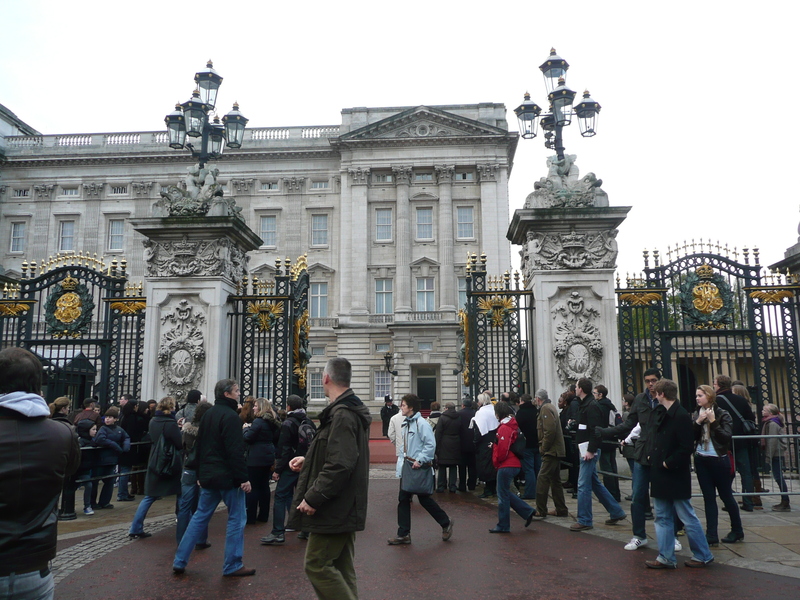 It would be so amazing to live in London and just go to see a show whenever you felt like it. Anyway, it was a fantastic way to end my last night in London. Which brings us back to Leeds! Actually, I’ve spent a lot of time online today, so I should probably get dressed and grab some lunch! Will probably post again after the Wales trip. Ciao for now!